member of the management group for the 2014 NZ National Science Challenge in Science and Technology for Industry, and leads portfolio 1 activity (design, materials and manufacturing). member of the Advisory Board of EcoChem in 2013, 2014; the Strategic Advisory Group for the high value manufacturing portfolio in 2012, 2013; and for the Biological Industries portfolio in 2011 for the New Zealand science ministry. Scion’s representative for the CRI (Crown research institutes) International group and Capability Development project. sits on the Boards of the Biopolymer Network Ltd and the Bioprocessing Alliance, the NZ Packaging Council, and has previously sat on the Materials Accelerator Industry Advisory Board. member of Environmental Protection Authority’s BRMAC (advisory) group 2011-2014.
sat on a Marsden Fund panel from 2006 to 2009 and again in 2012.
deputy task leader for the IUFRO Bioenergy strategic initiative 2010-2014.
carried out Futurewatch activities for the New Zealand government 2005-2011 and has been a member of various governmental delegations; the EU Fork to Farm in 2005, the minister’s visit to the EU in 2007 and an MFAT mission to Brazil in 2011.
leads New Zealand’s biobased industrial products theme area under EU KBBE twinning activities, and carried out an industrial biotechnology futures project for the OECD Bioeconomy to 2030 programme, which was released in May 2009, and reviewed the EU Biorefinery roadmap to 2030.
has represented NZ on EU Cost Actions Domain committee, and is a member of the foresight strategic steering group for an EU COST domain. NZ’s representative on the EU Plant Sciences Organisation’s overarching committee 2008-2014 and sits on the Forestry and Agricultural Technologies Working Groups. Elspeth maintains strategic relationships with a range of key clients both locally and internationally. She was part of the team negotiating licensing of a wood fibre plastic technology to a large international firm, as well as negotiation of commercialisation of a range of technologies. She led the negotiation team for the exit of Scion from a JV with CSIRO in Australia in 2007-8. 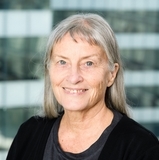 Elspeth has published over 100 refereed manuscripts in a wide range of subject areas mostly plant or biochemistry based, and co-supervised two masters and 12 PhD students as well as mentoring over 20 postdoctoral fellows or early career researchers.